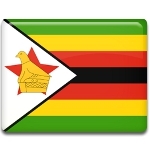 Robert Mugabe National Youth Day is a public holiday in Zimbabwe celebrated on February 21. It commemorates the birthday of the country’s first president, Robert Mugabe. A public holiday dedicated to Mugabe was initiated by the Youth League of the Zimbabwe African National Union – Patriotic Front (ZANU–PF), the ruling party of Zimbabwe. The initiative was supported by President Emmerson Mnangagwa. Robert Mugabe is a Zimbabwean revolutionary and politician who ruled the country for 37 years, first as Prime Minister from 1980 to 1987 and then as President from 1987 to 2017. During his rule, he was regarded as one of the world’s most controversial political leaders. Mugabe resigned the presidency in November 2017 as a result of a coup and was succeeded by his former First Vice-President Emmerson Mnangagwa. Despite Mugabe’s resignation, the country continues to support his positive image. The ZANU–PF Youth League has celebrated his birthday since the establishment of the 21st February Movement in 1986. The day was formerly recognized as a public holiday on the day of his successor’s inauguration in November 2017. Robert Mugabe National Youth Day celebrates Mugabe’s accomplishments and his role in empowering the youth of Zimbabwe.